Nothing says sophistication like an Acura ILX, and that sophistication can be yours with an Acura ILX lease deal. 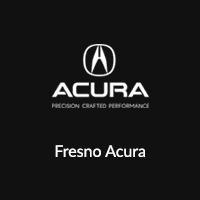 Thanks to the Acura ILX lease deals offered at Fresno Acura, Clovis drivers can choose the Acura ILX package best suited for them at a great price. Browse the Acura ILX lease specials available below before visiting our Fresno Acura dealership for help through Acura financial services on your Acura ILX lease. Why Choose an Acura ILX Lease Offer? When you decide to lease an Acura ILX near Madera, you’re able to take complete advantage of the newest Acura ILX interior features without committing long term to a vehicle. Also, our lease specials change all the time! For example, we may run a zero money down special one time and then roll out a zero percent deal the next. What we offer may change, you can rest easy knowing you’re able to lease a luxury car at a great price. Our friendly sales team is here to help get you behind the wheel of the Acura ILX vehicle best suited for your driving needs and budget. Once you’ve decided on leasing your Acura ILX, stop by Fresno Acura to explore the Acura ILX technology and features in person. Contact us today with any questions or to get the process started!